DJ Tira Reacts To Zodwa Buying Herself A Coffin. Earlier in the week, we received some shocking news. Zodwa Wa Bantu announced that she bought herself a coffin. Although the socialite reasoned that she is preparing for her funeral in advance many were not impresses. One of those clearly not impressed is her manager DJ Tira. His reaction to an article on written about Zodwa and her coffin speaks volumes. Tira was as puzzled as many, and asked Zodwa what on earth she is doing. 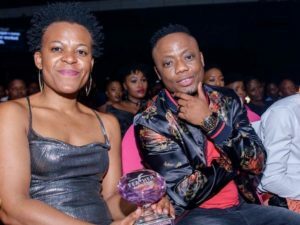 The post DJ Tira Reacts To Zodwa Buying Herself A Coffin appeared first on Youth Village.